See clearly. Work better. Protect people. At Supply Force, we believe in energy- efficient lighting solutions for industry that reduce environmental impact and save on costs, at the same time as increasing safety, quality and productivity. Airstar are the inventors of balloon lighting and the Sirocco are specifically designed to provide the highest quality light for nighttime workplace safety and productivity. Every Sirocco is hand assembled with pride in France, and both Airstar and Supply Force are committed to your total customer satisfaction. Airstar lighting balloons enable to light up 24,000 m² in only two minutes. 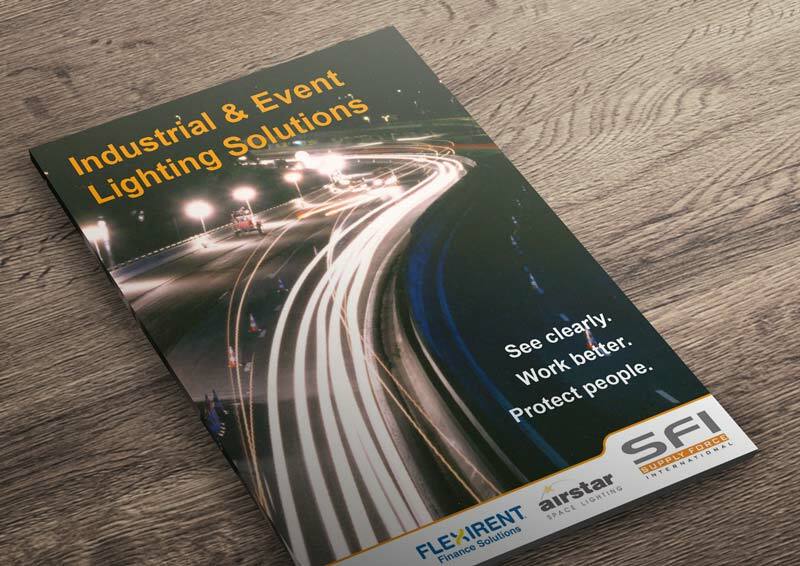 Whether it is about road works, site maintenance or even a dam construction, Airstar provides a lighting solution that enables to work efficiently in a safe environment. Airstar lighting balloons offer 360° diffuse and homogenous lighting, with no shadow and glare-free. With many sizes and powers available, Airstar lighting balloons are used by all, from the small auto entrepreneur to some of the biggest construction groups across Europe. Airstar was born in 1994, near Grenoble, France. The brilliant idea of the French self-made man Pierre Chabert has taken off. Today, the Airstar brand is well-known and renowned by a worldwide community in fields as diverse as construction, safety, cinema, event, live show and architecture. The Sirocco 2-S 24 x 10 W LED is a lighting balloon offering a 240 W power for 24,000 lumens. Powered by 2 batteries or plugged on main power, it’s a very easy to use and mobile balloon, especially with the “all-in-one” Pro-pack version. Flexi this from $43.00 per week plus GST T.A.P. Operating lease, terms and conditions apply.